Update 1/20: Lot 1555, the mustard yellow FJ40, sold today for an even more staggering $88,000, including buyer’s commission. Wow. 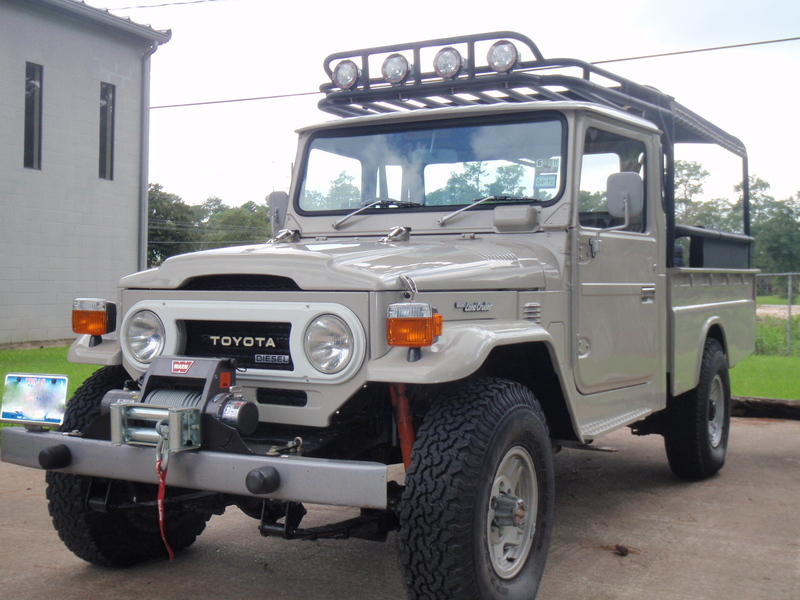 Update 1/17: The beige FJ40, lot 751, sold today for a staggering $59,400, including buyer’s commission. 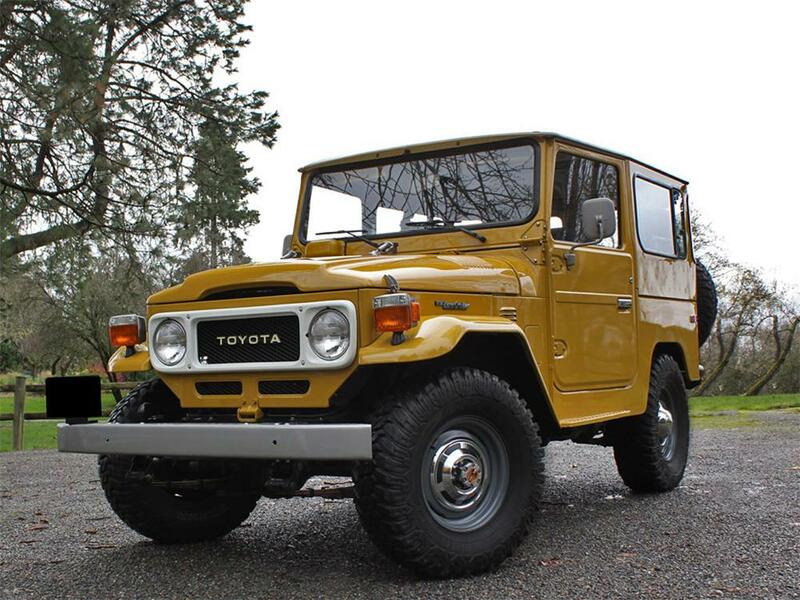 Among the many cars well-known auction house, Barrett-Jackson, will offer at its Scottsdale sale this week, two restored Toyota FJ40s stand out, a 1981 model in classic, mustard yellow, and a 1978 model in beige. Both look like they’ve come straight from the factory. For me, the mustard yellow version pushes all the right buttons. It is described as having a factory-correct, removable hardtop, a folding windscreen, rear jump seats, and a balanced and blueprinted 4.2-liter, inline-6 engine, with an H55 5-speed, manual transmission. The suspension is from Old Man Emu. The wheels are OEM, which, to me, always look better than aftermarket. The truck is said to have been fully restored in 2007/2008. The beige truck is also said to have been restored with less than 100 miles on the clock since then. It also features the 4.2-liter, 2F engine, this time, however, mated to a 4-speed, manual transmission. Although it’s not explicitly stated, this one also appears to have a removable hardtop, folding windscreen, and rear jump seats. In addition, it’s said to include the optional rear heater. Both trucks appear to have factory roll bars. The mustard yellow FJ40 is lot 1555 and will be auctioned on Sunday. 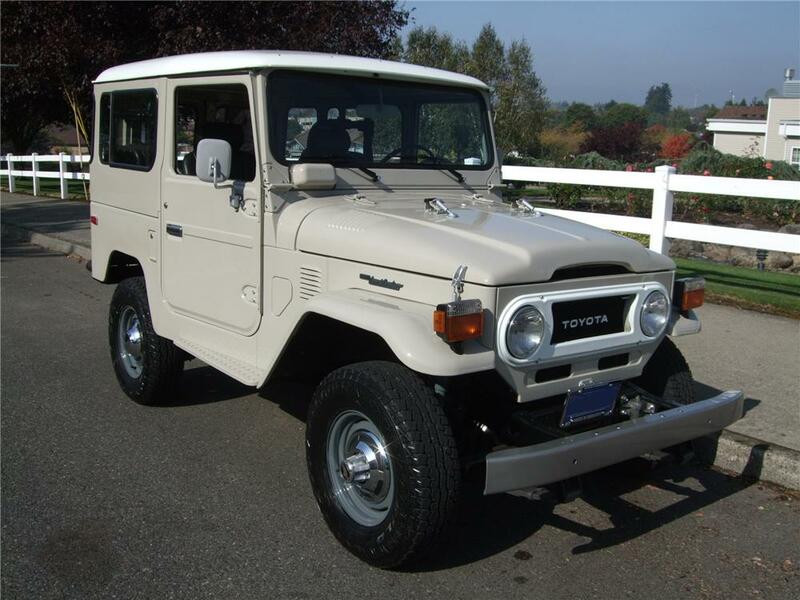 The beige FJ40 is lot 751 and will be offered on Thursday. 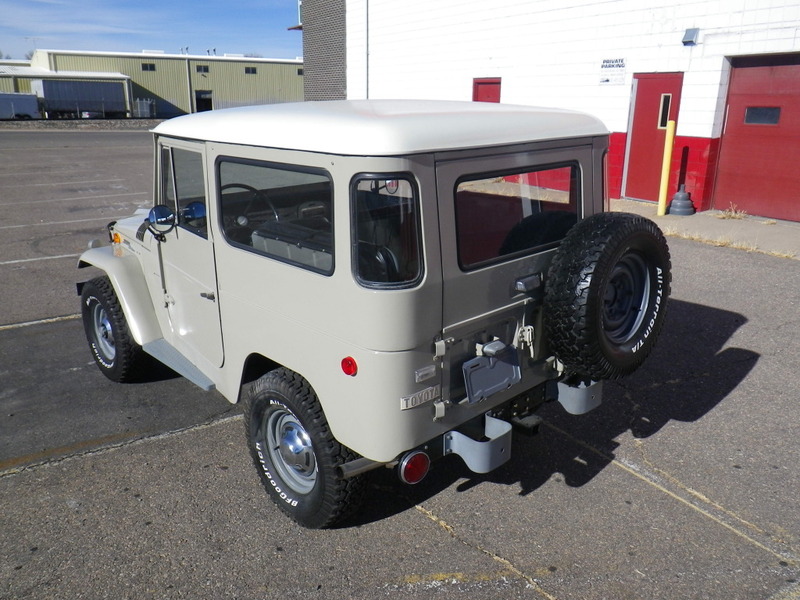 No estimates are given but a look into Barrett-Jackson’s auction results (search for “FJ-40”) reveals that restored FJ40s, in original trim, have sold in the high $20,000s. 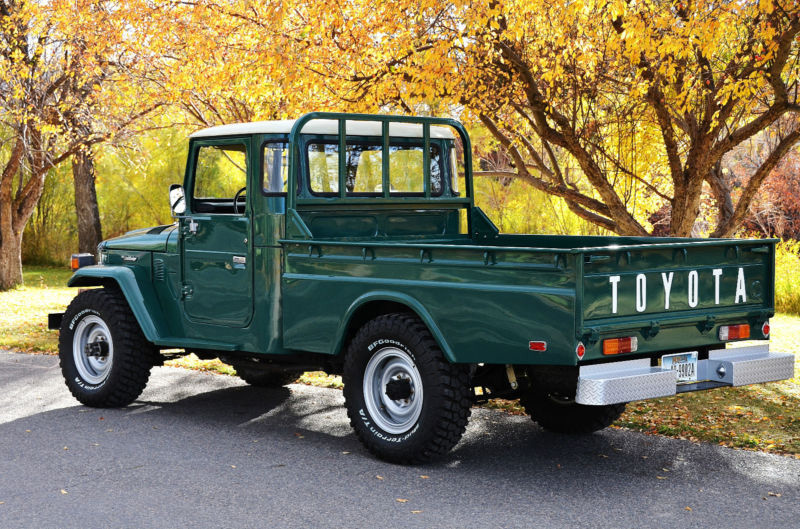 Note: two other FJ40s with Chevy V8s will also be offered, lots 403 and 544.